Belmore School is known as a warm and friendly school, where the people are caring and supportive. But it is much more than that. Of course we are very proud of our reputation of creating an atmosphere where all children feel included and know they belong. Our success is based on quality teaching, curriculum and assessment. Our focus is on enriching the school life of our students by providing the most exciting and appropriate curriculum for all students. We have been introducing a new curriculum designed for students with physical disabilities. Our staff are using the most effective tools to assess, and track student progress. Instruction is based on ongoing assessment of student progress and their changing needs as well as the expertise of our teachers and therapists. Experienced specialist teachers and assistants, nurse and attendant care staff dedicated to providing quality programs for students with disabilities. Les Powell School aims to provide high quality education programs that address the individual needs of the whole student. The school provides curriculum access for students to Key Learning Areas as determined by the Board of Studies. Whole school community participation is encouraged in the school's operation and is a vital component of a student's achievement and success. 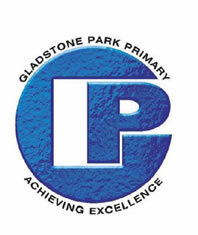 Gladstone Park Primary School's core purpose is to provide a safe and secure learning environment where the students' academic, social, physical and emotional wellbeing is nurtured and developed. The school offers a comprehensive and sequential curriculum based on the VELS (Victorian Essential Learning Standards). Classroom programs are well resourced and supported ensuring students realise their potential, including high achieving and special needs students. The caring and professional staff at Gladstone Park Primary School values all children and is dedicated to providing a high standard of education. This is supported by parent participation in all aspects of school life, including classroom programs, School Council, PFA (Parents and Friends), committees, the canteen and various other school activities. The school is proud of the friendly atmosphere and the positive reputation that it holds in the community. Baringa School is located in Moe, which is in the Latrobe Valley. The school provides a comprehensive educational program for students who have an intellectual disability aged from 5 to 18 years of age. In addition to having an intellectual disability, students may have associated disabilities and syndromes such as Down Syndrome, Epilepsy, Cerebral Palsy, Autism, Hearing Impairments, Fragile X, Acquired Brain Injury, as well as communication disorders such as Dyspraxia. Some students also have associated behavior disorders such as Conduct Disorder. Baringa School is committed to excellence in Special Education.We aim to provide an innovative, caring and stimulating environment where learning is relevant and purposeful and where students develop a sense of belonging through mutual respect and cooperation. Glenroy Specialist School will provide a respectful, safe and supportive environment that encourages dynamic, active learning and growth for all members of the school community. Glenroy Specialist School is a state specialist school catering for students from 5 to 18 years who have physical or multiple disabilities or highly complex health needs. Located in the North West suburbs of Melbourne Glenroy Specialist School is the largest of four Victorian Specialist Schools. At Glenroy Specialist School we have teams of teachers, therapists, nurses and support staff who offer students engaging and challenging learning programs catered to individual’s needs and that are based on the Victorian Essential Learning Standards (VELS) and pre VELS levels. The Cerebral Palsy Education Centre (CPEC) specialises in programs for babies and children with Cerebral Palsy and is the only one of its type in Australia. The therapists and programs are recognised around the world as some of the most successful at giving children with CP the chance to live their lives as independently as they are capable of. The Cerebral Palsy Education Centre (CPEC) is the 'Centre of Excellence' and is used to demonstrate innovation and best practice in universities in Australia and internationally. We offer a range of comprehensive, inclusive, and innovative service to families who have a child with Cerebral Palsy (and like conditions). These programs are designed to meet the child's special learning requirements. We are also continually developing and refining our programs. Strategies developed with these groups are internationally acknowledged as world first. The services we offer are planned by parents and professionals working together to identify and plan for each child's needs within the one program. Assessment procedures identify the family priorities, key issues for participation and learning and functionally defined goals. The programs are tailored to include learning opportunities required to meet each individual child and family's goals and priorities within the group. Warrah School is a private special school for children with intellectual disabilities. It offers placement for day pupils. Warrah School aims to provide a high quality, individualised education for students with intellectual disabilities, based on the education philosophy of Rudolf Steiner, and in accordance with the New South Wales Disabilities Act (1993) and the requirements of the New South Wales Department of Education. The goal of the School is to provide an environment and a quality of education to help each student to succeed to the best of his or her abilities. Warrah believes that each individual has the right to a full, balanced education and should not be deprived of a wide ranging curriculum because of developmental or intellectual disability. Each student should have an individual education plan which is regularly updated in consultation with his or her parents or guardians. Regular liason and discussion with parents is encouraged to view I.E.P.s (Individual Educational Programs) with all teachers and therapists. Daily communication books assist the familiarity with parents of the school's activities and the progress of the students. 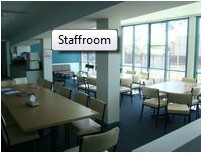 Karalee State School is a co-educational complex catering for both boys and girls years Prep to 7. The Karalee State School Community is committed to the development of each individual’s academic, physical, emotional and social potential in a supportive environment where respect for individual differences and the rights of others guide school and community behaviour. To meet the diverse range of needs of all students in our community, Karalee State School will build a caring and tolerant environment. Appropriate facilities and services will be accessible by all students including those students with disabilities and/or learning difficulties. The Department of Education and Training operates a school within Stewart House. The school hours are from 9.00am until 3.30pm from Monday to Friday. The school conducts six classes and the program includes a variety of activities. In response to the natural beauty of the site, the school integrates environmental and aboriginal education. Children are encouraged to express themselves formally and informally through a variety of speaking, listening and writing activities such as keeping journals, writing letters or emails, recounting excursion experiences, and sharing life stories. Major excursion venues include Sydney Olympic Park, Taronga Zoo, the Rocks Area, the Powerhouse, Maritime and Australian Museums. In addition, parks, reserves, lighthouses are visited along the Northern Beaches. Children participate in Visual and creative arts such as pottery, dance, painting and drawing. Through use of technology children contribute to the production of a DVD visual diary of their stay at Stewart House. They utilise email to communicate to home and home schools and to access the Internet for research. They can record their experiences or excursion research in our computer lab. There is an active sports program including bike riding, swimming and outdoor games. Through a special grant the Australian Sports Commission provides a variable program every term that has included beach games, gymnastics, hip-hop dance and basic games skills. Beach activities such as surf awareness, kite flying, sand modelling and games complement the more formal sports program. As part of their stay children are encouraged to further develop their independence and sense of responsibility through activities such as cooking, health awareness and self help skills. Children are encouraged to enjoy recreational and leisure pursuits. Some activities provided are bush walking, fishing riding scooters and indoor games. Children learn to socialise with others and relax while completing craft activities such as stained glass windows, jewellery making and wood burning. 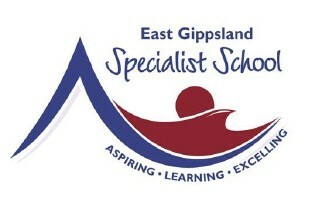 The East Gippsland Specialist School provides a comprehensive curriculum for primary and post primary students with intellectual, physical and other disabilities. Our school is based within attractive grounds and has excellent facilities which include: specialist home craft centre, art and craft room, computerised library, modern playground equipment, extensive computer resources for students, multi purpose room, wood work area and shaded outdoor playing and eating areas. The Wendouree Campus provides high quality education for students in the north of Ballarat and the adjacent rural areas including Creswick, Miners Rest and Clunes. The campus design incorporates the best possible academic, technical and sporting facilities, including recently upgraded flexi-pave basketball, netball and tennis courts. The Wendouree Campus is the home of the Ballarat Secondary College Advance Program - a nationally recognised student leadership program that works with the Victoria Police and incorporates the Duke of Edinburgh and Scope Young Ambassadors awards. The Campus is also home to the Ballarat Deaf Facility. Eastwood Primary School and Deaf Facility, in partnership with its community, seeks to optimise the potential of each individual and promote a friendly, safe and healthy school environment. We aim to extend knowledge, challenge thinking, provide choice and ignite passions. The School has a Facility for Deaf/Hearing Impaired students, which services the surrounding districts. Deaf students are fully integrated with support provided by Teachers of the Deaf. The school’s motto ‘Enthusiasm Precedes Success’ supports the school community’s value for the many facets of development in the preparation of our children for a full life as tomorrow’s adults. Our Student Wellbeing focus aims to empower individuals and teams to enable a sense of connectedness, purpose and zest for life. We seek to help build self-confidence, self-esteem and resilience in order for our students to approach future life experiences, opportunities and challenges with self-assurance and energy. There is a passionate commitment to all students and their families having a positive sense of belonging. Deaf people can experience problems when communicating with their work colleagues, who may also not be aware of the access needs of Deaf employees. The Deaf Society of NSW offers a range of informative and practical Deaf Awareness Training (DAT) programs designed to improve understanding of communication within workplaces and provides an awareness of the Deaf Community, language and its culture. Andale School was established in 1981, the ANSUA Centre for children experience learning difficulties developing sensory motor, language, literacy and numeracy skills. The ANSUA School (as Andale was originally called) provided programmes where children could be taught at their own level without the pressure of competition that occurs in most schools. Now in the new millennium, Andale School as we are now called, provides a supported learning programme for children with language and learning difficulties. At Andale School we provide a safe, secure and nurturing learning environment that supports and encourages children to repair their self-esteem. From this secure base children develop the skills and confidence to repair their self-esteem. From this secure base children develop the skills and confidence to meet the challenges offered and encountered in their learning. 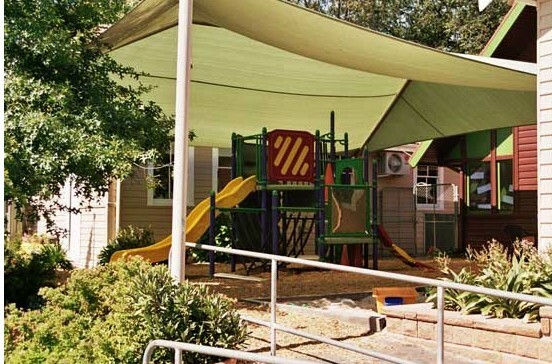 Mornington Special Developmental School is an innovative Department of Education and Early Childhood Development (DEECD) school catering for students with intellectual, developmental delay, autism and/ or multiple disabilities. The school offers a caring and stimulating environment which, in catering for the individual needs of students, ensures a sense of achievement and enhances self esteem. Classes have low/student teacher ratios and provide a safe secure learning environment. All groups include 1 teacher and 1 ES(educational support)staff, with the student numbers averaging between 6-8 students per group. All programs are based on the belief that all students have the capacity to learn and can experience success. On this assumption, Mornington Special Developmental School aims to provide a friendly, safe and structured learning environment within which students have the opportunity to prepare for and take up their rightful place in society. A fundamental element in achieving this broad aim is to ensure a positive and mutually supportive partnership between parents and staff, and effective communication between home and school is a key strategy in the school’s operation. Peninsula Specialist College is a dual mode setting for students with a diagnosed intellectual disability. The school caters for students of the ages 5 – 18 years old in its primary and senior Departments. 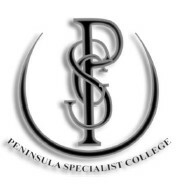 Peninsula Specialist College aims to provide students with the opportunity to develop independence, life skills and a love of learning and self-esteem. The school celebrates success by recognising, encouraging and rewarding skills and achievements. A commitment to learning is developed through a comprehensive whole school curriculum that is engaging, motivating and challenging, enabling our students to strive towards their academic, social, emotional and physical potential. Founded in 1902, Perth College is an Anglican school in Perth offering Day and Boarding opportunities for girls from Kindergarten to Year 12, with boarding available from Year 7. Perth College is the oldest independent Anglican girls’ school in Western Australia with over 115 years educating remarkable women. The School aims to engage body, mind, heart and spirit of each student and it is these principles, which have contributed to the School’s reputation of offering a holistic education and diverse opportunities. During 2012, Perth College launched InsideOut, the first sequential self-leadership programme in Western Australian schools. Providing opportunities for girls from Kindergarten to Year 12 the learning opportunities will be provided in a range of workshops, seminars, experiential learning and self-leadership opportunities. This is to reflect the girls inner development to outer excellence, which will provide students with the skills to lead themselves; to cope with challenges; to be more resilient; become stronger; more capable, whilst also giving the girls real skills to make a difference in society, which will also benefit overall academic performance. A key aspect of InsideOut is our collaboration with the University of Western Australia (UWA), who is undertaking a research project to evaluate the quantitative difference of self-leadership training, which will provide us with measurable outcomes. At Perth College, students are provided with a Personal Learning Device (PLD) granting them access to significant learning technologies. The PLD is considered to be the student's mobile classroom. The School has invested in state-of-the-art infrastructure including wireless technology, smart boards, industry standard and educational software and systems. These technologies in conjunction with traditional classroom best practices provide our girls with a 21st Century education. The School is renowned for its teaching staff, they are leaders in their field through trial and implementation of the new courses of study and the Australian Curriculum. Students rate our teachers as one of the benefits of attending the School as they are compassionate, caring and develop strong relationships. The Perth College Boarding House is home to 100 girls and prides itself on its warmth and 'home away from home' environment with a unique rural feel. A feature of a Perth College boarding education is the On Board programme. It is designed to teach our girls more about themselves, to develop self-esteem, to appreciate and experience the ways in which they can contribute to their immediate and wider community and ultimately how to lead by example and manage senior roles of leadership in preparation for life beyond Perth College. To discuss enrolment opportunities for your daughter contact Enrolments Director, Judy Parker, on 08 9471 2104 or email enrolments@pc.wa.edu.au. Biala Special School is an independent school providing services for students who are intellectually/physically challenged including autism, down syndrome and cerebral palsy. The school is situated in Ballina and provides a range of specialist services for students from 4 years through to post school options programs. The school encompasses the Brunswick Heads, Mullumbimby, Byron Bay, Lismore, Woodburn and Ballina areas. Biala Special School caters for children with moderate through to severe degrees of impairment. Biala Special School has been a major service provider for students with special needs in the Far North Coast since it was established in 1969. It has operated from its present site since 1973 and is currently being funded by State and Federal Government Departments and also by generous community donations and support. The DA.L.E Christian School is recognised by the Department of Education as a Special School. It was established in 1997 to meet the needs of Year 7 to 10 students with emotional / behavioural problems and also caters for students with a mild intellectual disability. D.A.L.E stands for Dynamic Alternate Learning Environment and the VISION is to create a program in which students with particular learning and / or behavioural needs can feel loved, understood, challenged and secure. We endeavour to build a school community that actively promotes the individual worth of each student and diminishes anti-social behaviour. The Elouera Special School in Cootamundra ranks as one of the best Independent Special Schools in NSW and certainly is in a class of its own for a country school. Providing individual tailored programs to all of its students in the Junior and Senior sections, Elouera Special school caters for students from Kinder Early Stage 1 to Year 12 Stage 6 Life Skills Curriculum and is fully accredited with the NSW Board of Education. 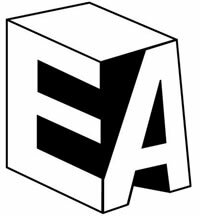 Elouera Special School provides education to School aged children 4-18 who have a moderate to severe disability, autism or multiple disabilities. Being part of a larger organisation our students also enjoy a comprehensive transition to work or transition to Community Participation in their final years at School. Students from the Cootamundra, Junee, Young, Temora, Nangus and Harden areas may qualify for Government Funded Taxi services that bring your child from home to School and back again, this also applies for those living out of town on a property.